Archbishop Christopher Prowse ordains Joshua Scott to the diaconate at St Mary’s Young. 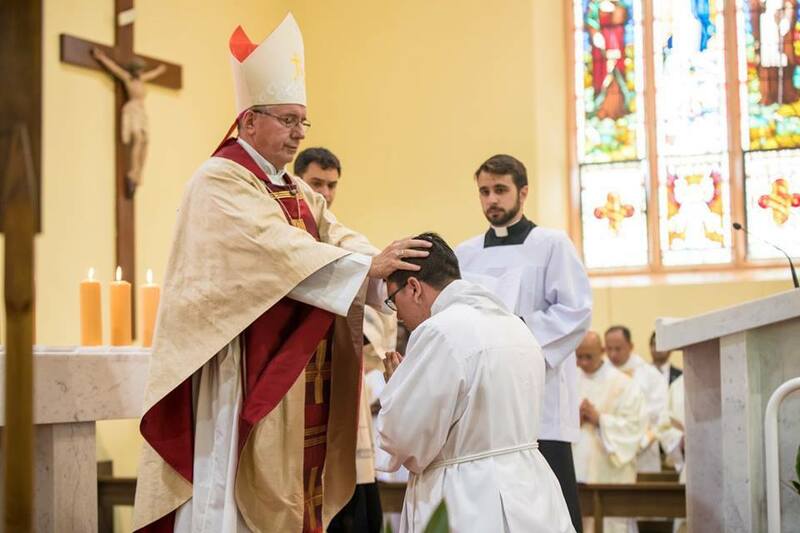 On Saturday 22 October 2016, the Feast of St. John Paul II, Joshua J.R. Scott was ordained a Deacon for the Archdiocese of Canberra-Goulburn by The Most Reverend Gerard Christopher Prowse, DD, STD in St. Mary’s Church, Young, New South Wales, Australia. Also con-celebrating was the Most. Reverend Richard Umbers, Auxiliary Bishop of Sydney. The celebration was a joyous occasion for Deacon Scott and all the community. A large contingent of Deacon Scott’s brother seminarians, brother deacons, seminary staff, and priests from around the Archdiocese of Canberra-Goulburn and surrounding dioceses were too in attendance. As well as a large number of friends, parishioners, and Deacons Scott’s family were also in attendance. Deacons serve in the community in diverse ways. In our parishes, they teach the faith and assist with sacraments, such as performing baptisms and witnessing marriages. Deacons also visit the imprisoned, comfort the dying, and care for those on the fringes of society. In his homily Archbishop Prowse praised Deacon Scott’s “kerygmatic dimension” describing him as “people centred” and “a great social networker”, during the ceremony The Archbishop also alluded to the fact Deacon Scott – a convert to the faith, had received four of the seven Sacraments from Fr Richard Thompson, the former parish priest of Young. Please continue to pray for Deacon Scott, and his preparation for the priesthood. May, God accompany our new Deacon as he begins his new diaconate service. After the Eucharistic celebration, the faithful gathered in the parish hall for refreshments with the new Deacon.